The Court’s Per Curiam Denial of the Petition Overlooked Appellate Counsel’s Fundamental Error in Failing to Argue That The Verdict Form Erroneously Stated The Law. Petitioner was ultimately charged with attempted robbery with a firearm and aggravated assault with a firearm. The Petitioner’s verdict form denied the petitioner an opportunity to be found guilty of lesser-included offenses because all the lesser-included offenses were incorrectly listed as robbery offenses as robbery i.e. robbery with a deadly weapon, robbery with a weapon, robbery, petit theft. A robbery charge is never a lesser offense of an attempted robbery charge. If two statutory offenses are not “separate” under the Blockburger test, then the “lesser” offense is deemed to be subsumed within the greater. This is simple logic. When the commission of one offense always results in the commission of another, then the latter is an inherent component of the former. In other words, the Blockburger test by its very nature is designed to distinguish between that group of crimes that are “necessarily lesser included” offenses and that group of crimes that are not. “Count 1, attempted robbery with a firearm: We, the jury, find the defendant, Charles Ajoloko, guilty of the crime of attempted robbery with a firearm. And if you make that finding, you must further decide on the special verdict, which is: We further find the defendant, Charles Ajoloko, actually possessed a firearm during the commission of the offense, or we further find the defendant, Charles Ajoloko, did not actually possess a firearm during the commission of the attempted robbery; guilty of the crime of robbery with a deadly weapon, a lesser-included offense; guilty of the crime of robbery with a weapon, a lesser-included offense; guilty of the crime of robbery, a lesser-included offense; guilty of the crime of petit theft, a lesser-included offense; not guilty”. The fundamentally flawed/erroneous verdict form — amplified by the erroneous oral instruction from the court — denied the petitioner’s due process and should have been raised on appeal. 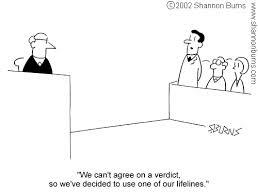 It denied the petitioner the chance to be convicted with a lesser penalty and it reached “down into the validity of the trial itself to the extent that a verdict of guilty could not have been obtained without the assistance of the alleged error.” (Montijo v. State, 81 So.3d 424, 426 (Fla. 5th DCA 2011), quoting Martinez v. State, 981 So.2d 449 (Fla. 2008).) This Court’s per curiam order overlooked the fact that appellate counsel’s failure to raise this issue constituted error that must be remedied by this Court.